Although relatively new, underfloor heating is becoming more common in new build houses and offers an efficient and environmentally friendly option to conventional central heating. By carrying heat from the floor - where it originates - to the roof, you’ll receive a comfortable and even heat throughout your property or office premises. This means there’s a cost efficient heat without it getting uncomfortably hot in certain rooms/areas to the exclusion of others. You’ll conserve energy as a result of lower temperatures, and incur cheaper running costs. Without radiators or wall heaters, you’ll have less clutter and the impression of a greater living or working space. As heat is distributed evenly and continuously throughout the property, the air feels sharper and cleaner than with conventional heaters or radiators that tend to recycle stale air. Underfloor heating is also comfortable, allowing you to walk around without shoes on, whatever the weather is doing outside. One unit also heats a much larger area, even when you open a door or a window, heat is retained as it’s travelling upwards rather than outwards. Not surprisingly, being cost efficient, underfloor heating could increase the value of your property. As part of the fixtures and fittings, you’ll find that underfloor heating is a great selling point, particularly at this juncture, when it’s in it’s relative infancy. So what’s the catch? There are a couple of disadvantages, which you need to take into consideration. As mentioned earlier, it’s a long term investment, so to maximise benefits you’d need to be staying in your current property for a number of years. It’s also expensive to install, with the consequent upheaval in doing so, worth considering. What types of underfloor heating are there? Essentially, there are two, water based or electric. The latter is a dry system and for obvious reasons the water based one is wet. There are different factors which can determine which one is best for you, so it’s advisable to discuss this with and ask questions of the provider or installer before making a decision. Once you’re ready to go, we’d be happy to be your provider and help you move forward. We’ve plenty of experience safely installing underfloor heating, with minimal disruption, so you’re in good hands. Why not give us a call today and we can discuss your requirements and help you decide what is right for your home or business premises. We’d love to hear from you. 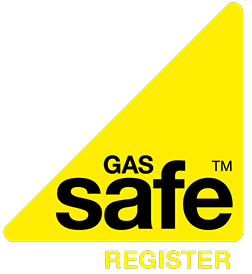 Newer PostAs a landlord are you fully compliant with the latest gas safety regulations?